A drink-driver captured the moment she slammed into a set of traffic lights on her own dash cam. Caroline Jeffery initially tried claiming she was not behind the wheel of her car, that ploughed into the lights. The 45-year-old told police she had met an unknown man at her local Wetherspoons in Crowborough, East Sussex, on January 15, who drove her home – before doing a runner after the crash. 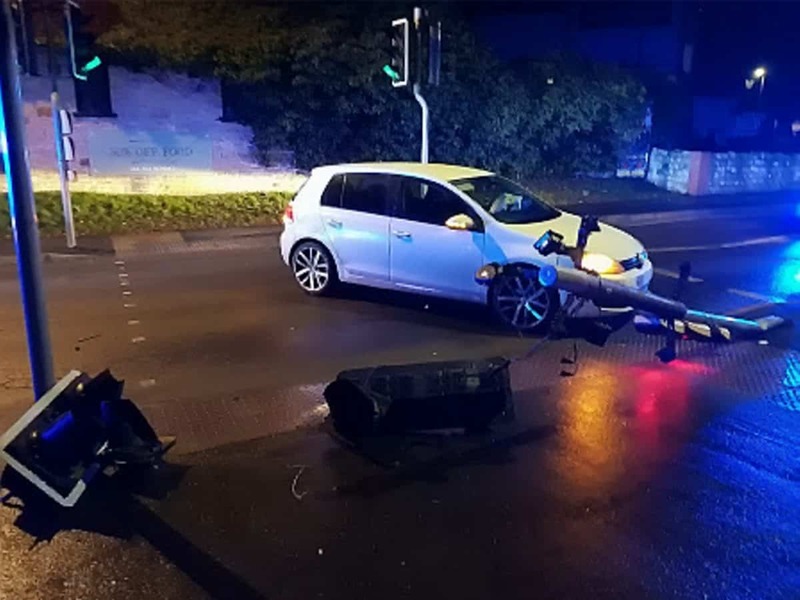 Officers found footage from her on board dash cam that clearly showed her getting out of the driver’s side of her white Volkswagen Golf, seconds after it ploughed into the lights. Jeffery failed a roadside breath test, and was subsequently arrested and charged with driving with 66mcg of alcohol per 100ml of breath in her system – almost double the legal limit of 35mcg. The dash cam and CCTV were produced as evidence at Worthing Magistrates’ Court on 14 March, and Jeffery then pleaded guilty. A Sussex Police spokesperson said: “Caroline Jeffery originally denied the offence. Warehouse worker Jeffery was disqualified from driving for 18 months, fined £530, and ordered to pay £200 costs and a £53 victim surcharge.